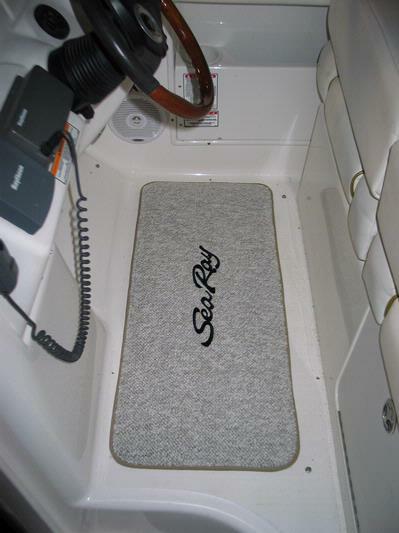 This marine grade, UV & mold resistant mat measures 36" x 16" with additional padding to reduce fatigue while standing at the helm station. The internal pad offers superior thermal insulation and acoustical properties. Will not break down or bottom out and is mildew resistant. The overall thickness of the mat is 1 1/4 inch and a hefty 7 lbs. to help keep this mat in place. Custom sizes can be made...contact us vis our "Request Info" page to receive a custom quote.